Known as the “psychic” cat in China, the famed orange tabby named Baidian’er, the English translation being “white spot,” that predicted correctly six World Cup games bracket winners, has passed away according to a posting on social media. Baidian’er was one of the famous feline residents of the Palace Museum in Beijing’s Forbidden City. 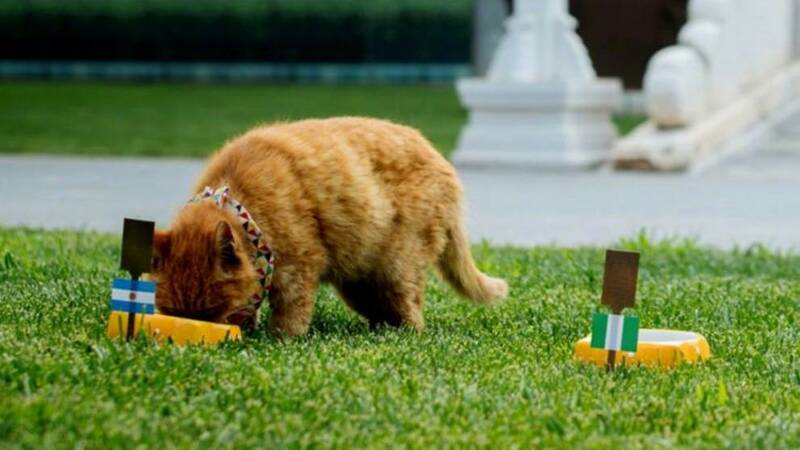 In celebration of the World Cup, the kitty was given the choice of two bowls of food, each featuring the flag of the competing teams. He became so famous, the Palace Museum set up a Weibo account, China’s version of Twitter, gaining a massive following.His final prediction, Argentina over Nigeria, was correct and to be his final one.